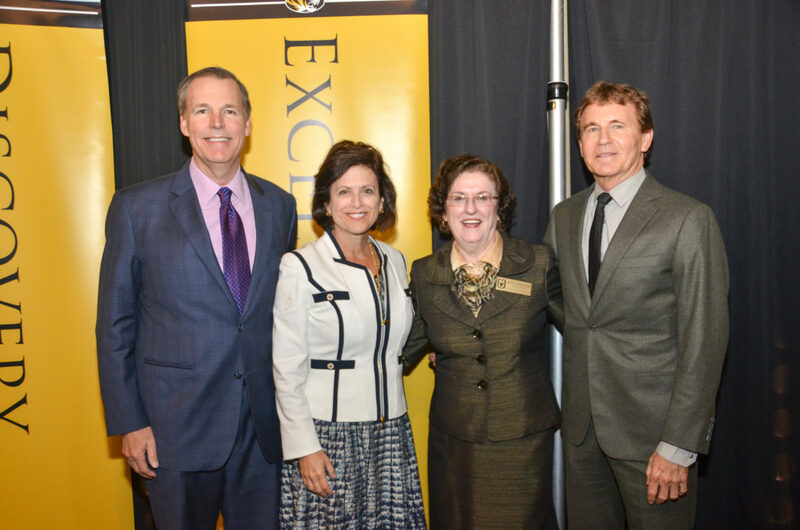 University of Missouri officials announced two gifts to the MU Sinclair School of Nursing (SSON) totaling $3 million to support the construction costs of a new academic building for the SSON. Michael and Millie Brown have given $2 million to support the new building. Richard Miller has given $1 million to support the same project. The proposed new SSON building is planned to be built near the current nursing building. It will include approximately 104,000 square feet of usable space, featuring larger classrooms, clinical seminar rooms, a simulation center and a research and innovation center. The new building will allow the SSON to admit as many as 40 additional students to the academic program each year, which will represent a 25 percent increase in enrollment. The new building is still in its early fundraising stages. Officials estimate the building will cost approximately $55 million to complete. These funds will be raised through private gifts, state matching funds and $10 million in SSON matching funds. Michael and Millie Brown are residents of Leawood, Kan. and both are MU alumni. Millie earned a bachelor’s degree in nursing and Michael earned a bachelor’s degree in electrical engineering. Michael was one of the founders of Euronet Worldwide, Inc., and has served as the president and chief executive officer since 1996. Michael serves on MU’s comprehensive campaign cabinet and Millie is a member of the SSON campaign executive board. Richard Miller, a resident of Pittsburg, Kan. and Columbia, Mo., is one of MU’s most dedicated and generous donors. Miller currently serves as tri-chair of MU’s comprehensive fundraising campaign, Mizzou: Our Time to Lead. Miller also serves on the SSON Campaign Executive Board and has previously given $300,000 to the SSON to support the Safe Practices Room, which provides a training space for students to participate in patient care simulations. Miller is president and CEO of Miller’s Professional Imaging/Mpix, and earned a bachelor’s degree in mathematics from MU. He says his daughter’s experiences at MU helped inspire him to support the Sinclair School of Nursing. With an overall fundraising goal of $1.3 billion, the Mizzou: Our Time to Lead campaign will secure the University of Missouri’s status among the nation’s elite public universities by focusing on three priorities: endowment — building our endowment to compete with other institutions will strengthen our ability to attract and retain stellar students and faculty; signature centers and institutes — interdisciplinary centers and institutes will be the engine of research growth that will enhance our AAU status and add to our distinctiveness; and a campus renaissance — new and renovated facilities will propel Mizzou to global leadership in education and research and will help attract and retain students and faculty.